Ready for a night out on the town? Join us for our Chamber Night Out at Topgolf! 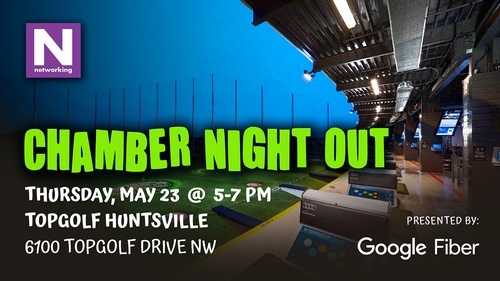 Take a load off and come hang out with us for an evening of networking and all the entertainment Topgolf has to offer. With each ticket purchase, you'll get your first drink on us, a variety of tasty appetizers to snack on, and best of all, the opportunity to play a few rounds of golf! Several bays will be open for our guests for the full two hours. If you haven't had the chance to play, now's the time! This event is limited to 50 attendees...so register today!